The effects of insomnia and lack of sleep can be crippling to our immune system and overall health. 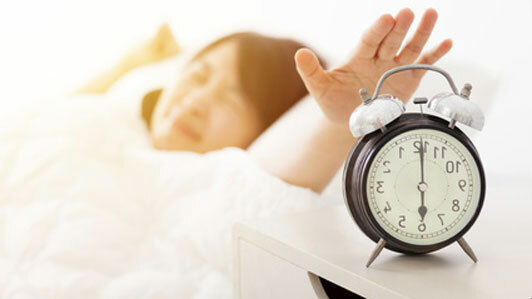 Make tonight a good night of sleep and try out one of these helpful sleep tips to wake up feeling refreshed tomorrow. Are you ready to start sleeping better than you've ever slept before? Yes; it's an inevitable reality that we spend as much as a third of our lives under the covers sleeping. There is no way around it. Some people can survive on little sleep, but the long-term effects of not getting enough sleep are devastating. A good eight hours of sleep regularly is required for the neurons in our brain to repair themselves. Without a regular sleep schedule we could easily take on mental and physical health problems over time. One of the simple sleep tips I can offer is to substitute natural remedies for pills. Sleep should be as natural as possible, so use organic products proven more effective than western medicine. The light emitting from your cell phone triggers signals to your brain that it's not quite time yet for sleep. 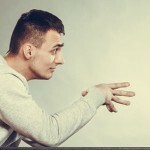 Have you ever noticed that you look at your phone or your computer at night while trying to get sleepy, but you never do? As much fun as playing angry birds till your eyes fall out of socket sounds, save yourself from the pain of feeling tired in the morning. Set your phone down and leave it there. But don't forget to set you alarm; it wouldn't help if you weren't able to keep you sleeping schedule, would it? It's because you are tricking your brain to delay its production the sleep aid chemical melatonin. Looking at your phone screen can leave you awake until the wee hours of the morning, wake up time. When it's time to go to sleep, turn off all electronics and keep your room dark as possible. I'm susceptible to long naps myself, but I try to eliminate them by setting my alarm clock for one hour later. Naps between thirty minutes and one hour can leave you feeling refreshed while any longer can leave you feeling more tired than before. This is one of many important sleep tips. Already sleepy? Set your watch for 30 minutes and snooze. It's that easy. Also make sure to keep your naps before the late afternoon to promote a more well-rested sleep at night. The point of naps is to keep you at full energy for the second part of your day, not to catch up on sleep from the night before. If you are using the daytime to catch up on poor sleep, you are sacrificing your circadian rhythm thus making it harder on your body to recover from lost sleep. Are you going to sleep on schedule? Not all of us have the convenience of being able to go to bed at the same time scheduled every day, but if you have a set schedule, stick to it. Call it a night the same time every day. If you must make exceptions, make it one day out of the week to go out and have fun. If your schedule is constantly changing along with your sleep, then that may cause your circadian rhythm to go off course. Do keep in mind like most things, this point is easier said than done. However if you really-really want to start sleeping better, sticking to a sleep schedule is highly recommended. Important sleep tips: Don't let sunny days go to waste. Take frequent breaks by going outside to soak up some of that vitamin D while you can. We must have frequent exposure to outdoors for the many health benefits it brings. By the time the sun goes away, it signals your body it's nearing bedtime. So make sure to go outside in the sunlight the first thing in the morning. If you don't live in the arctic, you don't have to worry about losing out on the opportunity of grabbing sunlight during the short window that it's available during the winter — or the abundance thereof during the summer. Lucky for you, lack of sunlight isn't a problem. Or is it? Nevertheless, take away that as counterintuitive as it sounds, sunlight may the key to getting better sleep. Sunlight triggers feel-good chemicals in your body that signal to your brain to get active and start doing things. Sunlight is our signal for getting outside and enjoying the nice day. Darkness from night or clouds is our signal to go indoors and relax and get warm and then eventually have good sleep. Do not waste sunlight, as the majority of our time on Earth is filled with darkness. Take full advantage of the sunlight while you can and do things outside. Work and play outside, and socialize outside. The best feeling is taking a cold shower and then going outside into the hot sun to dry off; no towels required. The sun is the most natural resource of all that's available to it. Not going outside is just as bad for our health as not drinking water regularly. It affects everything in our lives in ways we still do not understand yet. We can develop physical and mental health problems very quickly from not getting enough sunlight. Perhaps that is the reason why more people tend to suffer from depression during the winter months. Getting sunlight during the day increases the likelihood that you will fall asleep faster at night. You need your circadian rhythm in line with your sleep schedule. You do this by following the laws of nature and being awake when you are supposed to be awake and falling asleep when you are supposed to fall asleep. The sun is a very crucial sleep healthy tool at our disposal. This can be achieved with a cold shower or opening the window right before sleep. The purpose is to lower your body temperature without making you shiver. The effect of a cold shower is to first tense up your muscles and then relax them when you slip into your warm covers. 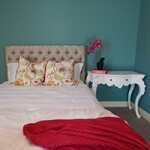 Your bedsheets should be warm enough to keep your body at the perfect temperature to promote a restful sleep. 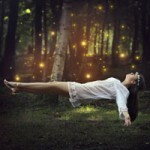 Going from one extreme to another is a wonderful sensation and a great way to help yourself sleep better. Lowering your body temperature has the effect of relaxing yourself when you get yourself warm again. 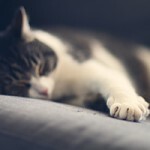 Have you ever noticed that you are extra sleepy after being outside on a cold winter day? Just get inside the house at bedtime and sip on some hot tea mixed with honey and you should be well on your way to dreamland within the hour. There is just something about the varying degrees of body temperature that signals to our brain it is time to sleep. Personally, I like to keep my window open for cold fresh air while also leaving a small heater on next to bed. The combination of warm and cold air and your warm blanket will keep you cozy whether it is summer or winter. For those hot summer days I can't even sleep with any sort of blanket without sweating. Being too hot makes me too uncomfortable to sleep. But everyone is different according to their body temperature. More often than not though, lowering your body temperature before bedtime works in healthy sleeping. Nothing is worse than outdoor distractions to wake us out of sleep. 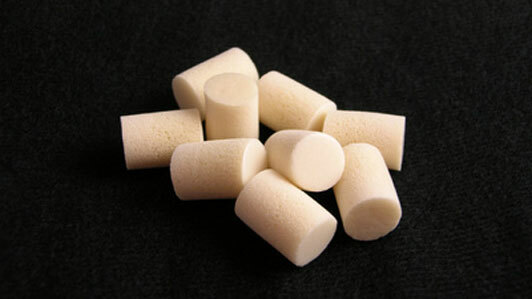 To promote a guaranteed night of no foreign noises, block it out with some noise-cancelling earplugs. Either that or invest in a fan or white noise machine to drown out outside noise. This sleep tip is mandatory if you are living in a noisy neighborhood or sharing an apartment with others. If you or the sensitive type of person that can hear through walls, getting a pair of earplugs may be the best thing yet. For sure, it is a lot cheaper than buying a house in the middle of nowhere. Even so, what are you going to do about the birds and the bees? Get earplugs. Some of us have extremely sensitive ears. In which case, buying some earplugs would be a wise investment. If you have noisy neighbors or even if the slightest ticking of your clock keeps you awake at night, earplugs are a good solution. The downsides are that they are of disposable use for a limited time, and the earwax accumulated on them in a short period of time is sort of gross. If you are willing to excuse the downsides, then getting some earplugs may just be for you. You can buy some that mold to the shape of your ear canals, and they don't have any possibility of rupturing your eardrum like Q-tips can. Make sure that you rinse regularly and dispose of them properly when they have run its course. Fortunately, earplugs are cheap so you can just keep buying more once you run out. However, they are becoming rare to find in stores so you may need to look online. If you think that television is the best way to fall asleep, perhaps you haven't discovered the benefits of reading yet. Reading is healthier for your mind, and promotes more relaxing feelings than any modern technology. Reading is more natural and brings out more creativity from our mind. We learn more from the simple act of reading, and nighttime is the best time to do it. Just be careful of those horror novels, as they can sometimes reflect on your dreams. Reading has its perks not to mention being much safer than being on your phone immediately before going to bed. Books are the perfect bedtime companion. They are versatile, compact, and most importantly they contain no type of technology to warp our circadian rhythm. That is the problem with smartphones before bed: that bright LED screen is acting as an artificial light source to interrupt your sleep night patterns. They make it harder for you to go to sleep and to stay asleep. Technology should have no place in your bedroom. Keep them as far away from the bed as you can. Phones before bed is the worst habit you could possible take on yourself. Social media makes our brains nervous, while books make our minds happy. Our minds crave imagination, not social validation. We need an outlet for our brains to work hard right before bed. The physical workout we did during the day and the mental workout we do at night is what your routine before bed should consist of. Are you having a grande chestnut praline latte right before going to bed? If you are, not only are you not helping to limit your caffeine, that's calories you'll be paying for later. Funny how the most delicious drinks make the worst drinks for sleep. — Here is a simple and rather obvious example of great sleep tips, but the effectiveness of limiting your caffeine intake before bed cannot be understated. Coffee, tea, and most sodas are stimulants that can keep you awake for hours if you haven't gained a tolerance for caffeine especially when you have a whole weekend of things to do waiting. If you have gained a tolerance for caffeine: that is even worse for your chances of sleep, because your adrenal glands have been burned out. The point here being: Consume caffeine in moderation. This should be common knowledge by now, but caffeine keeps you awake. It's a natural stimulant. Even the slightest bit of coffee or soda can do temporary harm for you circadian rhythm. Actually make a habit of consuming stimulants before bed, and you can count on developing chronic sleep problems in the future. You will see people who regularly drink coffee at night, also requiring sleeping difficulty aids such as melatonin just to get tired. For those of us who have gained tolerance to coffee for bed, that's not a good sign. You may be getting sleep, but the quality isn't as good as if you didn't gain a tolerance to caffeine. The best sleep tip that you will get anywhere is to challenge yourself during the day to get to sleep during the night. After a hard day of work, you are putting yourself in the best position to rest well. If you had an unproductive day without challenging your body or mind, you will be restless. You had a long day. You got a lot done. You deserve sleep. You need to give your best effort or the chances are you will be staying up stressing about your problems, and that's surely not a way to healthy sleep. By staying active, you will be too tired to care at the end of the day. Sleep problems can manifest into extreme health problems such as diabetes, cancer, and depression. If you didn't know already, find out how lack of sleep can cause weight gain . Insomnia is classified as a difficulty falling asleep, waking up frequently, and waking up in the morning unrested. Insomnia in the least extreme cases will leave you waking up feeling unrefreshed. In the very worst extreme, insomnia can cause death. We spend around one third of our life sleeping. At first that seems a repulsive statistic, as it feels like time wasted, but any less and you will not be operating at 100%. Our body and mind needs adequate sleep to repair itself in order to be as good as new the next day. 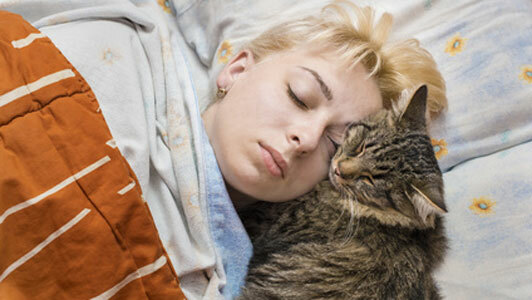 So, instead of worrying about getting enough sleep, find out 8 ways to help you sleep instead. Do what you can during the day so that you will be tired by the time you get in bed. Good sleep hygiene is common sense, and it can save you hours of restless nights. There are many factors for restless sleep. Sleep hygiene is about improving the things you can control in your daily routine. If you do it right, you should be falling asleep very quickly every night. When people think of sleep walking, they picture someone in Frankenstein-styled walking while muttering nonsense. Which seems funny at first, but sleep walking is a serious condition that signals someone with unhealthy sleep patterns. If an adult is sleep walking and has access to dangerous household items, it can be a danger to both themselves and others. Find out more about sleepwalking and how to treat it effectively. Is getting sleep that important to losing weight? In addition to helping your brain function properly getting an adequate amount of sleep helps you win big. In case you are wondering how to get better sleep, you should know that your sleeping positions affect the quality of sleep. Learn about the best sleeping positions to make the best of your sleep. We have compiled a list of these positions along with the worst sleeping positions. Just take a good look at them. What Time Should I Go to Sleep for Maximum Health Benefits?